So it's really F3 when you think about it. 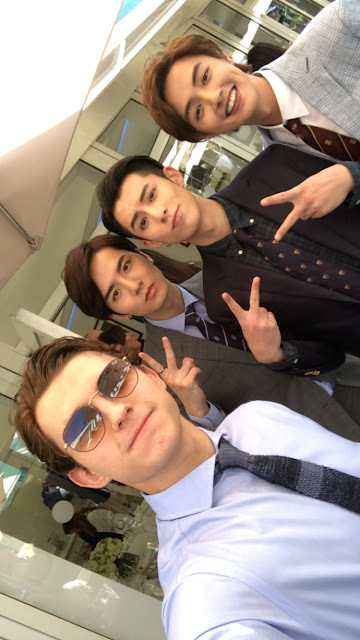 Dylan Wang, Darren Chen and Caesar Wu headed to England for Wimbledon and they ran into Tom Holland aka Spider-Man (uhh.. I love Tom!). This is so random that I never would've imagined a Marvel and Meteor Garden crossover, but it's such a treat. 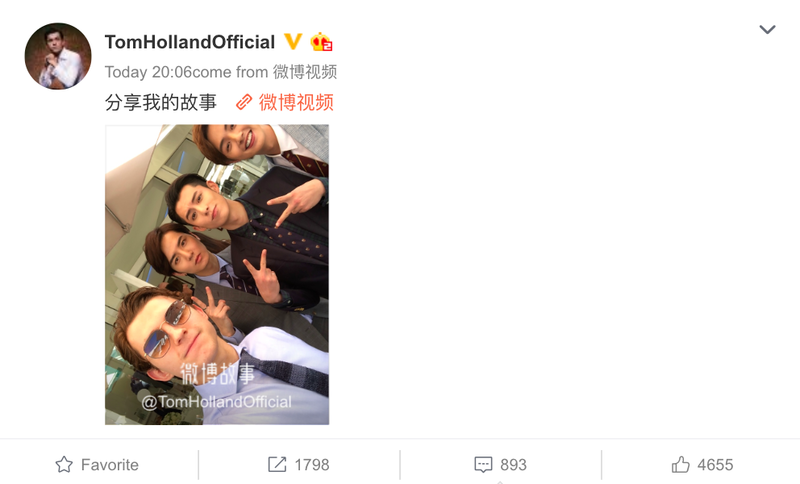 Tom Holland shared their selfie moment on his official weibo page. Luke Evans also posted a selfie with Emma Watson and Tom Holland and captioned it as Belle, Gaston and SpiderMan. Might as well add Huaze Lei. 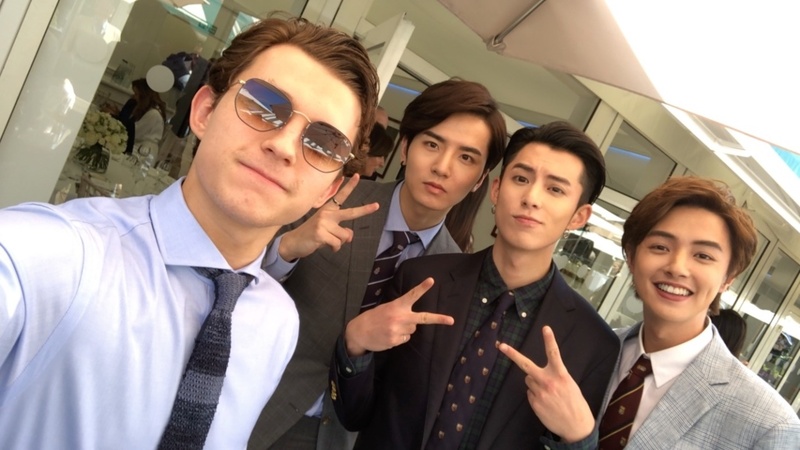 He's right there along with the other F4! Cute pic! I wonder how Tom knows who they are? Wonder why the other F4 guy isn't them?